Last week I kicked off with my first harvest of my winter crops and this share will be one of the last harvests from a very late summer crop. Eggplant!! This is the very last bush I have, it’s in a north facing bed getting the most sun it can in winter. 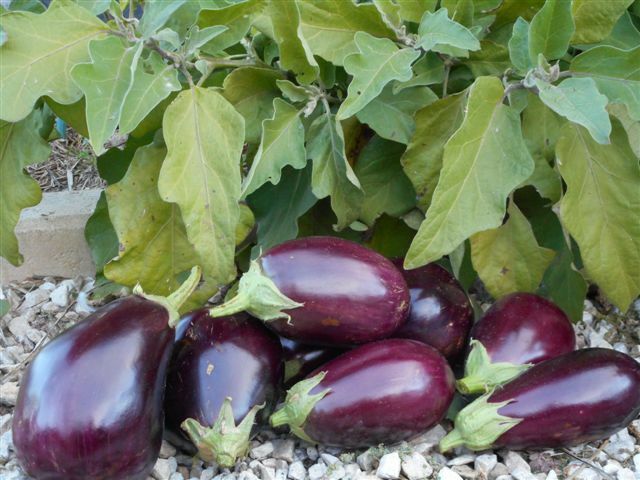 I have read a few other blogs from Aussie gardeners who were also picking late eggplants. This photo shows the last harvest and the bush before I composted it.